Kenzo & Viva got doggiestylished! How cool is that!? Awesome new leather collars, with matching leashes for the finishing touch. Ooh-la-la! Kenzo is going to be a show off on the upcoming dog show in September. It can be me, but I already notice his ego boost starting to erupt in the picture. Thank you Karen! You are so generous and kind. 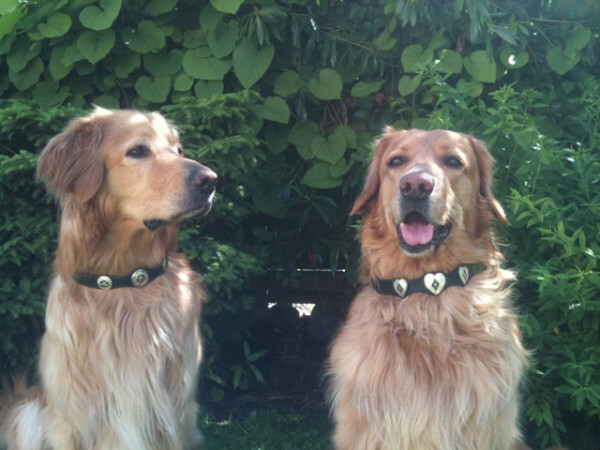 We dedicate the collars to the Danish fight against BSL, and will donate the value to the association Fair Dog in your name.